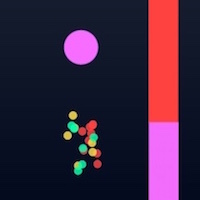 COLOR BALLS | Free Mobile Games on Funky Potato! What will happen if you blend Flappy Bird and Color Switch? The answer is: COLOR BALLS!